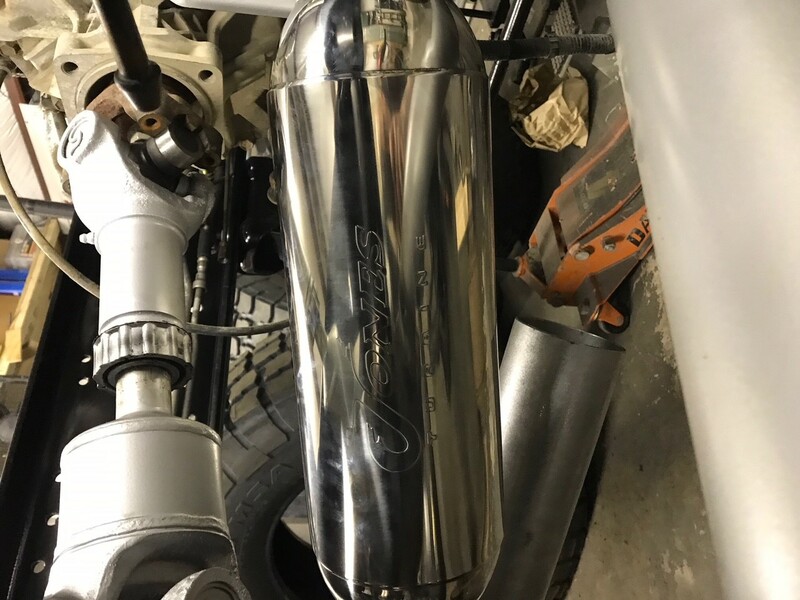 Jones Turbine Performance Mufflers and Jones Full Boar Performance Turbine Mufflers increase fuel economy and engine longevity with that smooth, performance sound! Select the muffler for your application according to the size of your exhaust. Example: If your exhaust is 4", select your Turbine Muffler with a 4" inlet, with or without a built in resonator. The built-in resonator smoothes the tone helping to reduce cab drone and shrillness sometimes found with diesel exhausts. Turbine Mufflers are Performance Mufflers engineered to increase the flow of exhaust gas through the muffler cylinder by creating a venturi force that actually pulls the exhaust away from the engine, letting it asperate freely. This dramatically increases performance and longevity by taking work off the engine. Turbine Performance Mufflers reduce the overall effect of exhaust gas temperatures, making it safe to add other performance modifications and run more power. The compact size muffler allows room for other performance exhaust modifications. Turbine Performance Mufflers are stainless steel inside and out- no packing or moisture collecting material in the muffler. Turbine Mufflers produce incredible performance and improved gas mileage while creating that great smooth, low throaty turbo sound you love.